Pdf2Jpg.net is a free and online service whose main aim is to convert PDF files to JPG image format. It does not accomplish other kinds of conversions compared to other services that offer multiple file conversion options. That means if you are looking to just convert PDFs to JPGs in the simplest way possible, Pdf2Jpg will be the best go-to option. This software saves you the hassle of downloading and installing software on your Mac or Windows PC while at the same time saving on your resources, especially for the storage space. This Pdf2Jpg review will go through what to expect when you get started with this online tool. In very simple steps, you will be able to convert your PDF without any struggle. This review will explore each of these steps to find out more details and corresponding features. For you to get started with the conversion process, Pdf2Jpg, of course, requires input from you in the form of uploading the target PDF file to be converted to JPG. This tool can handle PDFs of size not exceeding 25MB. Another thing to note is that there is no batch addition of files so you have to convert one after the other. You can add a single page PDF or even one that has multiple pages inside. To ensure you get just the right output you need, Pdf2Jpg gives you several options in regard to the final JPG output quality. These presets are Good, Average and Excellent. Each of these quality levels has the accompanying kind of file to expect. Average is set at 75dpi which is best suited for regular PDFs like those that contain text only, Good comes with 150pi and is best for PDFs that contain illustrations while the Excellent level brings you 300dpi quality and is most appropriate when dealing with rich illustrations and high-quality JPG. For most of the PDFs that you may deal with in day to day activities, Good is the advised setting to go for to ensure quality is not compromised. Once you have selected your PDF and the quality to work with, you are just a step away from converting your file. 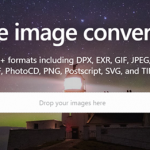 Hit the button to start converting and wait for the final file to be delivered to you.Expect a high definition JPG if you did select a high dpi for the converted file. In addition, there are no delays whatsoever with the conversion process since Pdf2Jpg starts working on the input PDF file immediately you initiate the process. In case you do not want to wait for the process to end, you can provide your email address and once the converted file is ready, you will receive a notification with information regarding the JPG. Besides that, you get feedback about how far the file has been converted so you can monitor the progress straight from the browser. This Pdf2Jpg review recognizes the fact that you are not required to register on the website in order to achieve converting privileges. In fact, as the tool is brought to you free no registration is needed. Contrary to some other tools that may add intrusive watermarks to your output JPG files, Pdf2Jpg does not add any watermarks to your converted files at all. Your files will be as clean as they were in the original PDF file without any modifications. It gets even better, this tool does not have any limit in the number of pages that an input PDF file should have. Pdf2Jpg will convert all of the files uploaded to it provided they do not exceed the upload size limit. When the conversion process gets done, Pdf2Jpg opens a new tab for you where you can get the output JPGs. This page is handy as you are able to preview the files even before you download so that you can confirm that the output is as per your expectations. If the files are not at the satisfactory quality, you can re-convert using another dpi higher than the one you had used before. You will be saved from downloading files and later realize that they are not meeting standards. But once you are satisfied with the image in the preview, you can download the JPG file to your Mac or Windows and if you have multiple pages, you have an option to zip all of them together and download them as one package conveniently. Our greatest worry when uploading files is that the information may get to the wrong person or even expose confidential information. Luckily, Pdf2Jpg mind about your privacy and confidentiality by making sure the uploaded PDF files and converted JPG image files are removed after a few hours. Therefore, do not be worried when working with this tool as it has taken you as the user into consideration. Enjoy all these features when you explore this Pdf2Jpg PDF to JPG conversion utility.